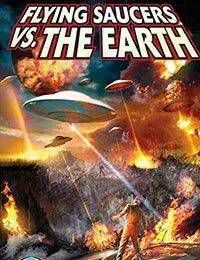 Famed sci-fi novel cover artist Alan Brooks brings Ray Harryhausens vision of the 1950s cult classic Earth Vs. The Flying Saucers to comic book format! Like every planetary invasion, there are two sides of the story. Told from the perspective of the aliens, see why the Sons of Aberann decide to wage war against Earth, and what type of culture spawned their warmongering ways. See them race on their Screamers in the wastelands of their planet while dodging the beastly Dustspeeds! Witness psychedilic alien fortune telling! And see what fate befalls those who cross the Warlord of Aberann!